Craft is an end-to-end product management platform for agile teams. 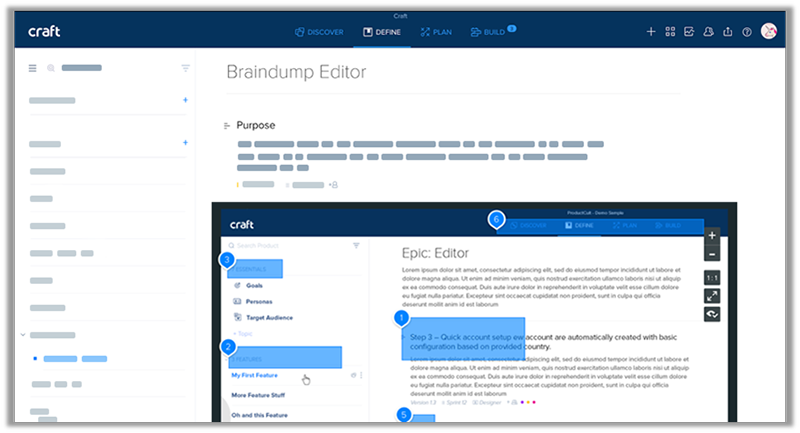 With Craft, you can discover, define, roadmap, manage feedback, and collaborate with your team. The Craft integration for Pivotal Tracker brings together the two parts of the product management process: product managers and UX teams can ideate, plan, and define in Craft, and then push stories into Pivotal Tracker, where project managers and R&D teams can pick up with Pivotal Tracker’s powerful and intuitive project management workflow. Easily connect your accounts, and start pushing stories, product requirements, and items from Craft to Pivotal Tracker and back. You can enjoy Pivotal Tracker’s integrations and Craft’s integrations with GitHub, Google Drive, Zapier, Dropbox, TFS, JIRA, and Sketch. Users can enjoy Craft’s roadmapping, sprint-planning, and visual story-mapping capabilities alongside Pivotal Tracker’s beloved Workspaces, powerful analytics, and enterprise features. Join technology leaders like IBM and Cornell University in successfully integrating Pivotal Tracker with Craft to achieve seamless teamwork on projects and products.